For Levi, true yoga resides in the breath. It’s the difference between simply stretching and opening a channel to profound realisation. Levi also apprentices with Linda Star Wolf, founder of Shamanic Breathwork. He is a level two Shamanic Breathwork Facilitator and an Ordained Shamanic Minister through Venus Rising Association for Transformation. Levi now lives in Bali, Indonesia. 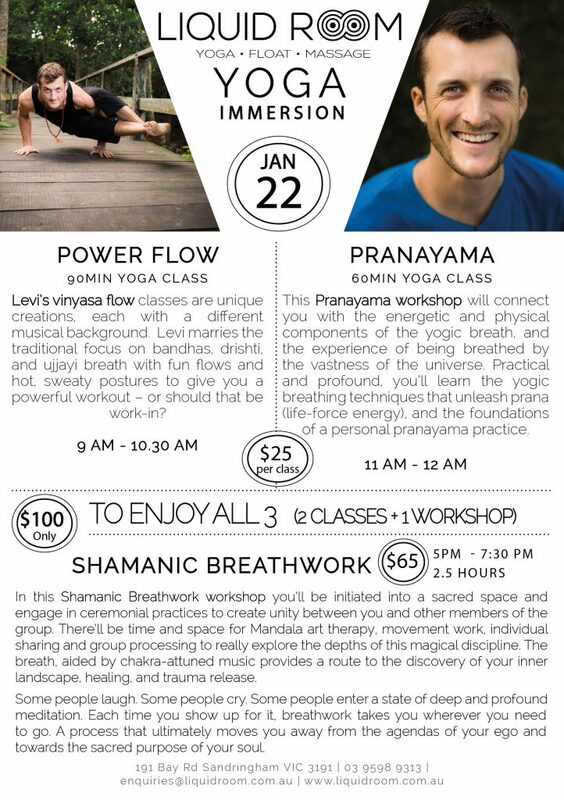 You can find Levi teaching regular classes, hosting workshops, immersions and teacher trainings at the world renown Yoga Barn in Ubud, or on his international travels to your local studios, sacred locations and conscious culture festivals world-wide.